The last article in the ‘Analyse A Real PPC Campaign’ series looked at Ted Baker who had a generally well designed PPC campaign addressing their traffic market through two large image links on their click through landing page. With Christmas literally days away, I thought it would be interesting, to say the least, to see what campaigns are out there that are still trying to make the most out of Christmas traffic. 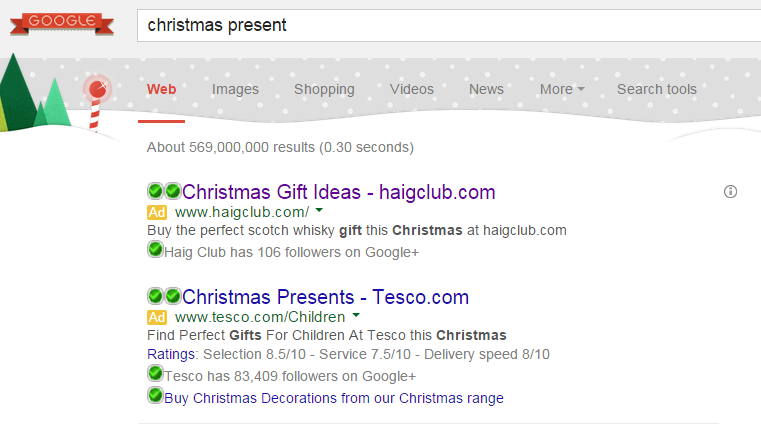 In this article, I will be looking at Haig Club’s PPC Campaign. The reason I typed in ‘christmas present’ into Google for this analysis is for the fact that I was not expecting many adverts to show for one simple reason: delivery time. With it being too close for even next day delivery for anything on the internet, I cannot understand why adverts are still showing for ‘christmas present’. I can understand Tesco since you can click and collect and go into store to buy your gift still. But, for Haig Club? Can they really delivery a present before Christmas for you still? Looking at the advert itself, it is a very compact advert with only one ad extension being the Google + extension. As well as this, they have a in the description which will naturally make the advert’s click through rate increase than without it. The only downside, in my opinion, is that the Google + extension does not really show off the popularity of Haig Club whiskey so it might be deemed that this social extension is hindering the performance of the advert more than optimising it. 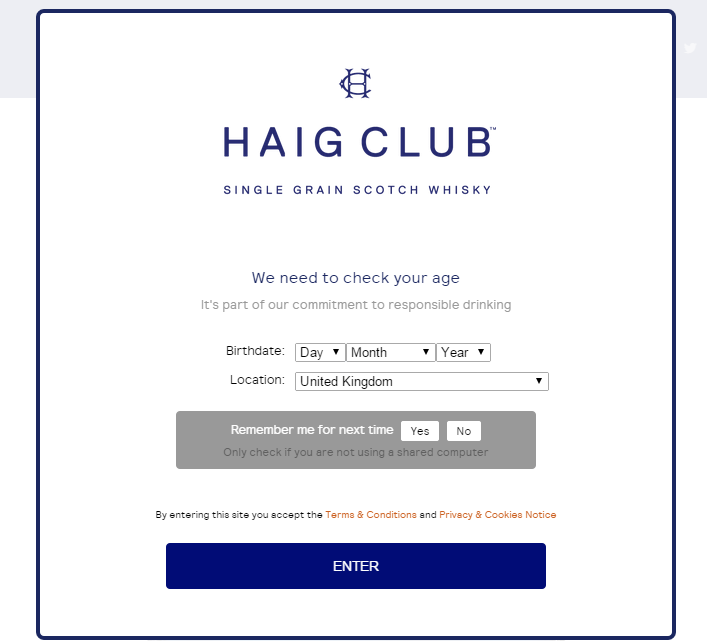 Although it is not ideal, it is a necessity that Haig Club has this as a landing page so that only those of age can browse the selection of alcohol and buy it too. It is not an ideal landing page for Haig Club but with them being in the alcohol business they cannot change the landing page. 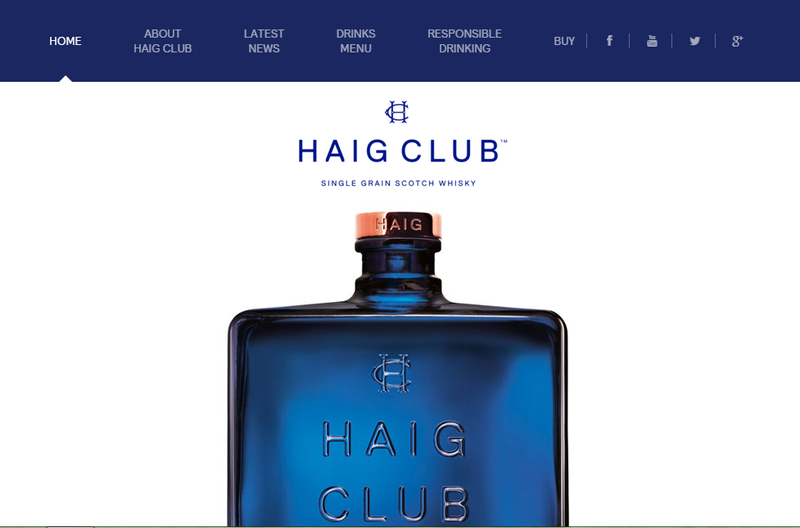 This is in fact Haig Club’s homepage and it looks to be well optimised for PPC – web users will have followed the PPC path to this page with the intention of browsing through the different products Haig Club have up for offer. The best way for this to happen is to direct the web users to the homepage so they can access whatever part of the website they want and explore it. However, this does not answer my question I raised at the start. Why is there an advert for an online shop this close to Christmas because the delivery date would miss Christmas? Well, upon clicking the ‘Buy’ button, a pop-up appeared showing me the different retailers and online shops you can buy Haig Club whiskey in. Of course, even with the one day delivery of Amazon prime, buying it on Amazon would miss Christmas. Saying this, there were retailers such as Asda and Tesco which you can go into store and buy. This makes it clear that, as a late Christmas present, you can still buy Haig Club and wrap it up in time for Christmas deeming this campaign, as a whole, not pointless but effective in taking advantage of those that have left the present buying to the last minute!